we are ready to respond. Contact us for application assistance. No matter how much, how fast or how far you are lifting or pulling, Allied Power Products, Inc. has the products and expertise to meet your requirements. From aerospace to utilities and from mining to arts and entertainment, our products support a vast array of industries in thousands of different applications. 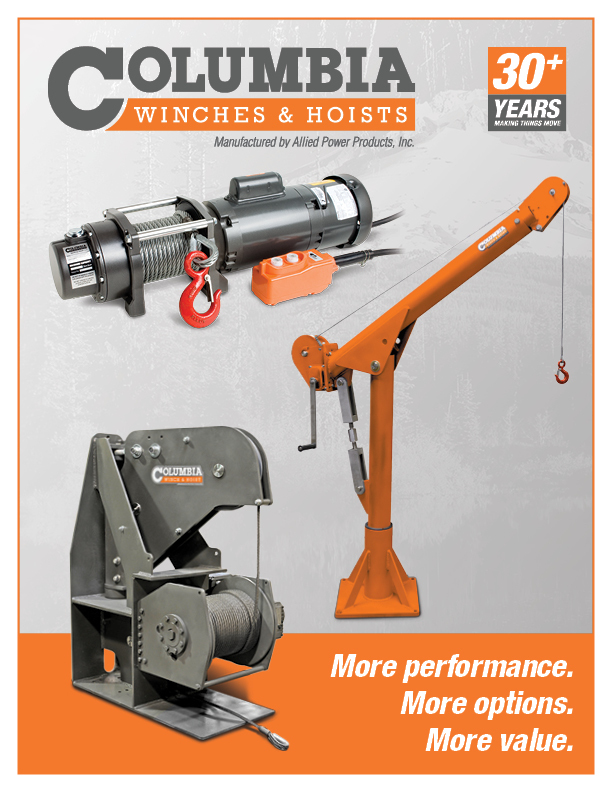 If one of our hundreds of standard Columbia winches or hoists doesn’t match your needs, we can provide modified or purpose built units that do so exactly. You can choose from AC or DC electric, pneumatic or hydraulic power with motor sizes from fractional to more than 200 horsepower. 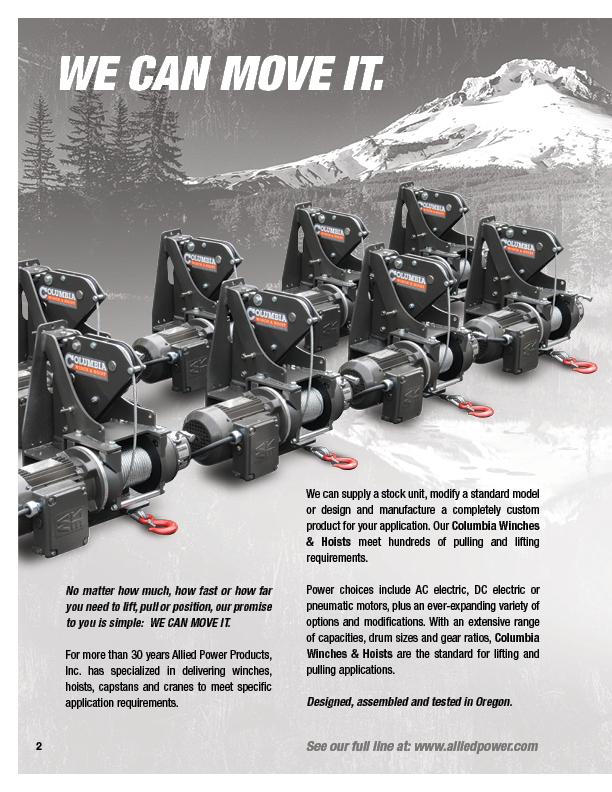 Available single line pulls range from one hundred pounds to more than 100,000 pounds with line speeds as required. Our standard davit cranes have capacities of up to 2000 lbs. and are offered with a choice of AC, DC, pneumatic, hydraulic or hand powered hoists. As is the case with our other products, we have the ability to design cranes that meet your specific needs. Assistance with determining the right product to get things moving for you is as easy as calling or sending us an email.